"We thoroughly enjoyed our recent visit to London. The Russell was definitely the best choice of apartment and location. 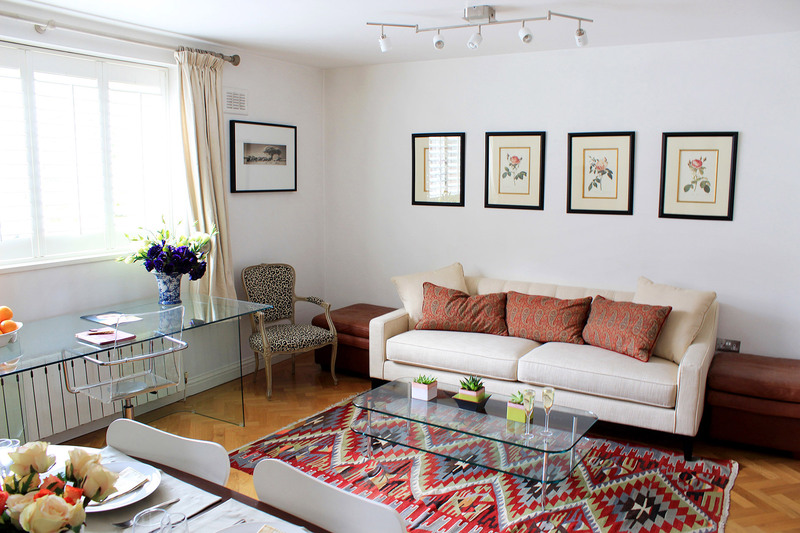 Being in the heart of the Royal Borough of Kensington & Chelsea, the luxury and comfort of the apartment was a combination of luxery and home from home, which gave us a sense of belonging. Due to its proximity to Kensington Palace, my wife felt as if she was Royalty itself, whilst my daily jogs through the grounds and along Kensington Park, made for an attractive amenity that has lifted my spirits.The short distance to all the best art galleries and museums, the great village life of Stratford Road and the early morning stroll up to Kensington High Street and the King's Rd have ignited a desire to return to London and to live in Russell again. Thank you for all the little touches; they didn't go un-noticed and we look forward to enjoying Russell and London again."